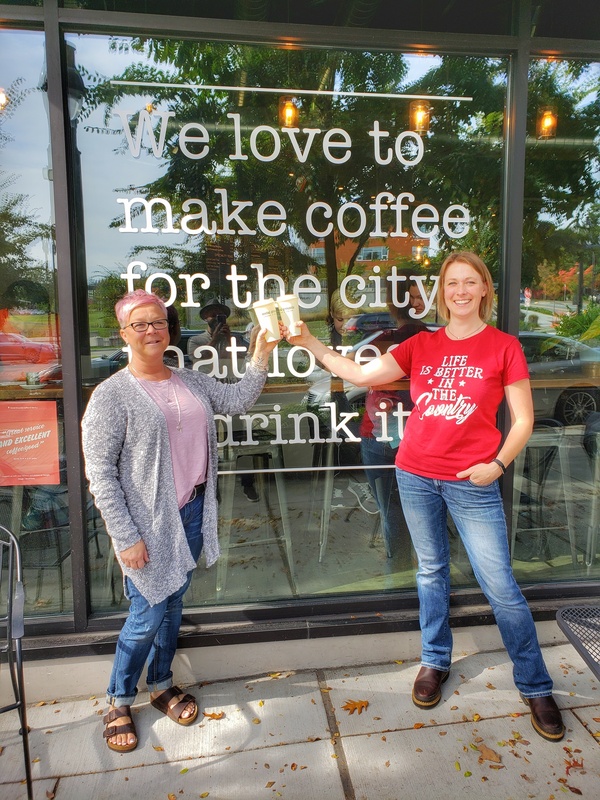 Sisters Amy Marthaler and Wendy Armstrong had been through a lot when they decided to make a change in their lives and open Social Grounds Coffee shop in Bothell, WA. Amy, a mother of two young children had recently lost her husband. Wendy, had survived breast cancer and a second heart attack that almost took her life. Together, they believed that a coffee shop would help them to focus their lives on what they loved, helping others and building community. In a short time, their coffee shop has become the center of the ever expanding and close knit community of the northern part of Seattle's Eastside. So much so, on certain days of the year, they have a line around the block. We sat down with Amy and Wendy on a busy fall afternoon to talk coffee over some chocolate lattes. What does running a coffee shop mean to you? Being able to work in an industry that we are passionate about and see people that we care about every day ... there is nothing better. And giving back to the community and all the amazing relationships we’ve made have been a blessing. It is also such a great feeling when you get compliments everyday on your staff and the products that you have taken pride in to serve. How did you discover joe coffee? From the start I wanted to get some sort of text ordering in place and have a spot dedicated outside for orders. So when this came across my desk I reached out and from there our relationship grew. 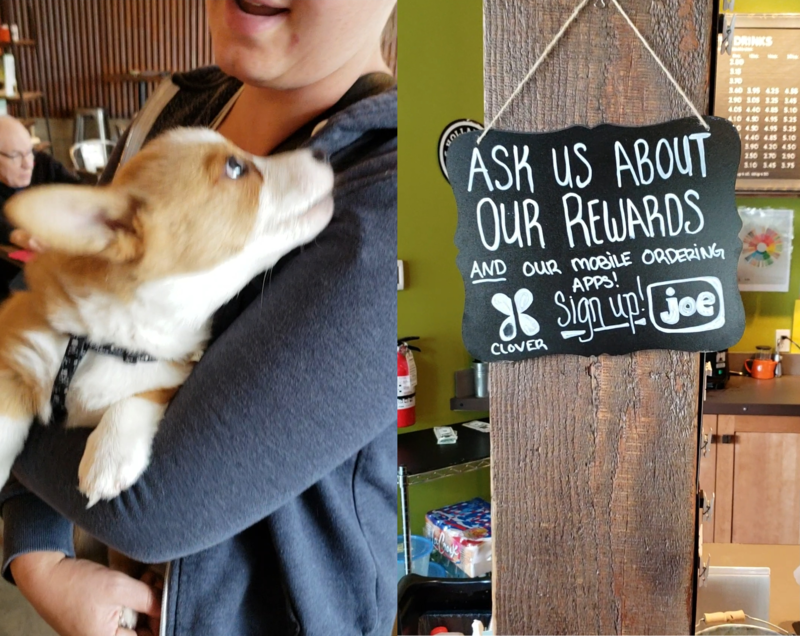 I loved the idea behind joe and that it was dedicated to independent coffee and small business. It made me want to work with them even more. I even use joe at my own shop to grab a quick coffee for myself on busy days! Was there a specific business challenge you were trying to solve? Our coffee shop has apartments all around us with 204 directly above. Parking is a challenge, so the idea that people could send in their orders, drive and walk up, jump out and grab their coffee and be on their way was great! We care a lot about our community and seeing our regulars every morning. They share their lives with us. Tears, laughter, joy and many stories cross both sides of the counter. We also know that people don't always have time to stay and chat and we wanted to make it easy for them to still come in without a line and with their coffee ready and waiting. It is cool to be a small business and have that capability at our fingertips without having to pay lots of money to create something on our own. What is the hardest part about a busy shift at Social Grounds? It is easy to get overwhelmed when you have a line of tickets, a line of customers, and the phone starts ringing. All of our salads are also MOD (Made On Demand) which is a unique aspect of our service . A good attitude, focus, and setting expectations up front with our customers for wait times are all really key. With joe we were able to easily incorporate everything into our established process and get up an running quickly. What is your vision for Social Grounds going forward? Our goal is to roast our own coffee on a greater scale. With 25 years of coffee experience, Darren, my sisters husband is excited to help us take Social Grounds to the next level. We'd like to grow, not only as a business but also to grow our community which is why we started our shop in the first place. We are currently in 3 local churches where they are serving our coffee and we would love to be known as the the Coffee that Serves. We want to give back through our churches, fundraisers, charitable causes, awareness, and to our farmers and growers too. In the future we will continue to use our coffee shop as a way to give back on a much greater scale. Ready to better serve customers that don't have time to wait?